On 14th July 2015, China, France, Germany, the Russian Federation, the United Kingdom and the United States, with the High Representative of the European Union for Foreign Affairs and Security Policy) and the Islamic Republic of Iran agreed upon a historic Joint Comprehensive Plan of Action (JCPOA) for Iran’s nuclear programme. This JCPOA is built on the implementation of the Joint Plan of Action (JPOA) agreed in Geneva on 24 November 2013. A Joint Commission consisting of aforementioned countries and Iran will monitor the implementation of JCPOA. The agreement also contemplates that these countries will meet at the ministerial level every 2 years, or earlier if needed, in order to review and asses the progress. The limitations envisaged in JCPOA will be followed by a gradual evolution, at a reasonable pace, of Iran’s peaceful nuclear programme, including its enrichment activities, to a commercial programme for exclusively peaceful purposes, consistent with international nonproliferation norms. Iran has reaffirmed that under no circumstances will it develop, seek or acquire any nuclear weapons. This agreement, if successfully implemented, will allow Iran to use nuclear energy under the Nuclear Non-Proliferation Treaty (NPT). Iran has agreed to phase out its IR-1 centrifuges in 10 years. 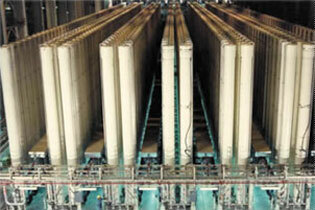 During this period, it will keep its enrichment capacity at 5060 IR-1 centrifuges. The excess centrifuges and other related infrastructure will be stored under IAEA continuous monitoring. This, however, does not stop Iran from conducting enrichment R&D, provided such R&D does not result in accumulation of enriched uranium. Such research and development will be limited to IR-4, IR-5, IR-6 and IR-8 centrifuges. It is also not allowed to manufacture or assemble other centrifuges. The agreement also puts an obligation on Iran to keep its uranium stockpile under 300 kg of up to 3.67% uranium hexafluoride or equivalent in other chemical forms. The excess will be sold in return for natural uranium. Moreover, for 15 years, Iran will not engage in any spent fuel reprocessing or construction of such facilities. This means that Iran will surrender 97% of its total uranium stockpile. Additional Protocol to its Comprehensive Safeguards Agreement in accordance with Article 17(b) of the Additional Protocol and modified Code 3.1 of the Subsidiary Arrangements to its Safeguards Agreement. “Roadmap for Clarification of Past and Present Outstanding Issues” agreed with the IAEA. Iran will allow IAEA to maintain a long-term presence in the country, monitoring of uranium ore concentrate plants for 25 years, containment and surveillance of centrifuge rotors and bellows for 20 years; use of IAEA approved and certified modern technologies including on-line enrichment measurement and electronic seals; and a reliable mechanism to ensure speedy resolution of IAEA access concerns for 15 years. Iran will also not engage in development of a nuclear explosive device, including uranium or plutonium metallurgy activities. The UN SC Resolution endorsing the JCPOA will terminate the previous SC Resolutions passed against Iran including Resolution no. 1696 (2006), 1737 (2006), 1747 (2007), 1803 (2008), 1835 (2008), 1929 (2010) and 2224 (2015). The EU will terminate all nuclear-related economic, financial and proliferation related sanctions. The United States will also terminate the economic sanctions passed against Iran. This termination will take effect simultaneously with the IAEA verified implementation of the agreed nuclear related measures by Iran. The United States has also agreed to allow the sale of commercial passenger aircraft and related parts and services to Iran; license non-U.S. companies that are owned or controlled by a U.S. person to engage in activities with Iran consistent with this JCPOA; and license the importation into the United States of Iranian-origin carpets and foodstuffs. The JCPOA also provides for an elaborate dispute resolution mechanism. If Iran, at any time, feels that any or all of the aforementioned countries are not fulfilling their commitments under the agreement, it can refer the issue to the Joint Commission. The countries can do the same. The Joint Commission would have 15 days to resolve the issue, unless this time period is increased by consensus. After Joint Commission’s consideration and a review at the ministerial level, the complaining state or the state against whom the complaint has been made could request the formation of an advisory board, which would consist of three members (one each appointed by the participants in the dispute and a third independent member). This Board would provide a non-binding opinion on the compliance issue within 15 days. If the issue is still not resolved, the complaining state could treat this significant non-performance and may stop performing its commitments under JCPOA and/or notify the UN Security Council that it believes the issue constitutes significant non-performance. Upon receipt of the notification from the complaining participant, as described above, including a description of the good-faith efforts the participant made to exhaust the dispute resolution process specified in this JCPOA, the UN Security Council, in accordance with its procedures, shall vote on a resolution to continue the sanctions lifting. If the resolution described above has not been adopted within 30 days of the notification, then the provisions of the old UN Security Council resolutions would be re-imposed, unless the UN Security Council decides otherwise…. Therefore, if Iran does not comply with its commitments under the JCPOA, the old SC resolutions would be “automatically” reimposed. These “snapback” sanctions will not have a retrospective effect on the contracts between Iran and other entities. This “automatic” imposition seems to affect, or in other word, take away the veto power that the permanent members enjoy in Security Council. It is quite surprising that countries like China and Russia agreed to this, given their consistent position that such provisions undermine their veto power. This means that JCPOA cannot be regarded as state practice for any other country or principles of international law. The US Congress now has 60 days to review the agreement. During this time period, President Obama cannot lift the sanctions imposed by Congress on Iran because the Congress, while imposing the sanctions, took away the power. The Congress does have an option to reject the deal, and keep the sanctions intact but according to the statement released by Mr. Obama, he will veto this rejection. Congress would need a two-thirds majority to overturn this veto, which in my opinion, is unlikely. While this JCPOA is not legally binding but merely a political commitment, non-fulfillment of the commitments under the agreement is highly unlikely. This is because the economic and diplomatic costs of non-fulfillment are very high. 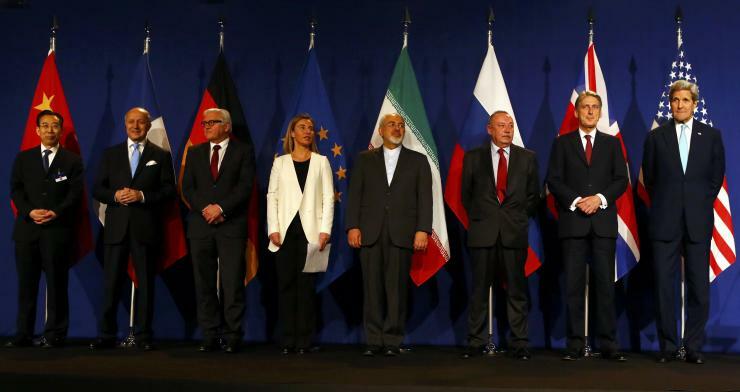 Moreover, if all goes well, the legal character of JCPOA will not affect its implementation. Nevertheless, the possibility still remains. You can read the text of JCPOA here.